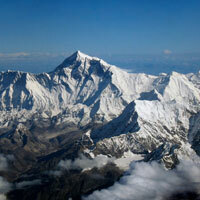 Nepal is famous for its spirituality, tranquility and breathtaking vistas. This tour allows you to experience the natural beauty of the Himalayas, the ancient and sacred Buddhist and Hindu temples, the friendly nature of the Nepalese people, and the diversity of its rich wildlife. 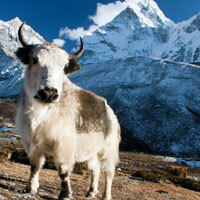 Get close to the World’s highest peaks or be thrilled with a jungle safari – Nepal has it all! Day 1: Kathmandu Arrival by International flight to Kathmandu.The rest of day is for your leisure where you will be free to explore the hotel amenities or restaurant or can visit to Casino and try your luck, who knows, you might get lucky in Nepal. Overnight at Kathmandu. Day 2: Kathmandu This morning you will be taken on a city tour of Kathmandu, including the Durbar Square, the Hanuman Dhoka, and Swayambhunath. In the afternoon you will visit the city of Patan. Overnight at Kathmandu. Day 3: Kathmandu Early morning pickup at 6.30am to go for Mountain Flight at 7.30 am from Kathmandu airport for an hour’s worth of spectacular mountains scenery can get panoramic view of the Himalayas in just an hour, back to Hotel & relax. After breakfast, you will be taken on a tour of Pashupatinath, where one of the World’s most sacred Hindu temples in the world is located. Afterwards, proceed to Boudhanath, a colossal temple near Pashupatinath. Overnight at Kathmandu. Day 4: Kathmandu – Dhulikhel Today you will be driven to Dhulikhel, a scenic ancient town, with a sightseeing tour of Bhaktapur and Panautien route. Overnight Dhulikhel. Day 5: Dhulikhel – Nagarkot After breakfast you will be driven to Nagarkot. Enjoy the stunning views and peaceful majesty of the Himalayas with short hikes into surrounding local villages. Overnight at Nagarkot. Day 6: Nagarkot – Kathmandu – Pokhara After a sunrise breakfast you will be transferred back to Kathmandu and then on to Pokhara. En route there is an opportunity of doing a white water rafting excursion (additional cost). Overnight atPokhara. Day 7: Pokhara This morning you will be driven to Sarangkot to see the sunrise over the Western Himalayan Range. 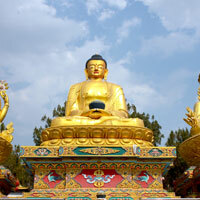 Return to Pokhara and take a guided tour of the city of Pokhara. In the evening you will be taken on a boat trip on Lake Phewa. Overnight at Pokhara. Day 8: Pokhara – Chitwan Today you will be driven to Chitwan National Park. 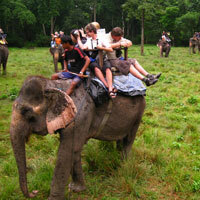 After lunch, you will enjoy an elephant back jungle safari. Evening at leisure.Overnight at Chitwan. 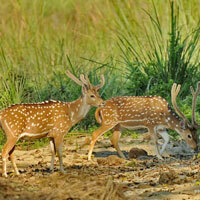 Day 9: Chitwan Enjoy an early morning elephant back safari in the Park. After breakfast visit the elephant stables, see the elephants bathe with a talk given by a senior naturalist. Your afternoon is at leisure, or you may choose to participate in one of the programs offered at the lodge, including nature walks, canoe rides, or a jungle drive. Overnight at Chitwan. Day 10: Chitwan – Kathmandu After breakfast this morning you will be driven back to Kathmandu. Overnight at Kathmandu. Day 11: Kathmandu – Onward Destination Early morning check out from hotel transfer to International airport Board flight for onward destination.